Sirius Speedway fave Peter De Lorenzo is at it again. In a recent blog on autoextremist.com entitled, “NASCAR Is About To Feel Detroit's Chill,” DeLorenzo warns that the Detroit automakers are putting their NASCAR budgets “on the chopping block" and are set to dramatically reduce their involvement in the sport. DeLorenzo predicts a massive cutback in NASCAR involvement by Detroit’s “Big Three,” beginning with track sponsorships and promotional support programs, followed by national advertising, “high-visibility NASCAR-based promotions,” and finally, direct support to NASCAR teams. Longtime listeners to Sirius Speedway – and readers of The MotorSports Soapbox – will find many of DeLorenzo’s claims eerily familiar. In fact, he made virtually the same prediction two years ago, in June of 2006. At that time, “Chicken Little Pete” claimed that at least one Detroit automaker was poised to leave NASCAR within the next 12 months, to devote itself to production-based racing series, engine programs for open-wheel racing, and a road-racing effort focused on the 24 Hours of Le Mans. Has anyone seen any of that happen? I thought not. Not much changes in Peter DeLorenzo’s world. He was wrong then, and he’s wrong now. Speedway Motorsports Inc. Chairman Bruton Smith said yesterday that New Hampshire Motor Speedway's two NASCAR Sprint Cup dates are not in danger of being moved to either Las Vegas or Kentucky. SMI purchased the one-mile Granite State oval for a reported $340 million earlier this year, triggering a torrent of speculation that one of the track’s Cup dates might be moved to another SMI property. There were empty seats at the Loudon, New Hampshire oval for the first time in its Sprint Cup history Sunday, prompting another round of questions about the track’s future. But when asked about that possibility of moving a race out of the Granite State, Smith responded flatly, "No. We'll try to accomplish that another way. We're working on things." Sources tell Sirius Speedway that Smith still hopes to purchase Pocono Raceway from the Matiolli family, despite recent assertions by Pocono owner Dr. Joseph Mattioli that his track is not for sale, and has been entrusted to his grandchildren to prevent its sale for decades to come. A source close to the situation said Smith believes Pocono can still be bought for the right price, and is determined to strike a deal to bring the track under the SMI unbrella. He would then shutter the aging Pennsylvania speedway and move its two NASCAR dates to Kentucky and Las Vegas. Smith also said he has cooled on the idea of reworking the NHMS track surface from its relatively flat, 12-degree banked configuration to something along the lines of the recently remodeled Las Vegas track. Smith admitted that he has discussed that possibility, as well as building a new racetrack elsewhere on the NHMS grounds. But a completive slate of races for the NASCAR Whelen Modified, Camping World East and Nationwide Series’ has apparenrly convinced him that no immediate changes are needed. "I was pleasantly pleased with the shows we had, and how racy it was," said Smith Sunday. "Prior to that, I was determined on making some changes. Right now, we're going to look at some things." Smith said he may now be content to rework spectator areas of the speedway and add additional seats. Newman On Penske: Ryan Newman stated his case again this weekend, saying that the performance of his Penske Racing Dodges must improve quickly if the team expects him to sign a new, multi-year contract. “The Daytona (500) win was huge for us, but it's in the past,” he said. “Our engine program is at an all-time low, We don't have the horsepower other teams have…and we don't have the reliability to go along with it. People aren't doing their job. That's the bottom line. They're just not getting the job done." Newman continues to be linked to the soon-to-be-vacated #5 Hendrick Motorsports Chevrolet, and is being mentioned as a possible teammate to Tony Stewart, if Stewart jumps to Haas CNC Racing next season. Two different media outlets are now reporting what Sirius Speedway told you three days ago; that Tony Stewart is actively seeking sponsorship for a jump to Haas CNC Racing next season. Both ESPN.com and the SportsBusiness Journal say that talks are underway with Office Depot and Old Spice to serve as co-primary sponsors of a Stewart-driven Chevrolet out of the Haas CNC Racing stable next season; similar to Dale Earnhardt Jr.'s deal with Amp Energy Drink and the National Guard. SportsBusiness Journal said Stewart is working to finalize his ownership investment in Haas CNC, and that the team will likely be rebranded with Stewart's name. 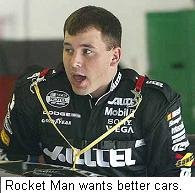 ESPN.com cites an unnamed source saying that Stewart is “talking to every major sponsor that is available,” and that Ryan Newman has been approached about leaving Penske Racing to be the team’s second driver. Martin Truex, Jr., has also been linked to the Stewart/Haas CNC deal, with possible sponsorship from Bass Pro Shops. Stewart has admitted that an offer is on the table from Haas CNC, and that the offer includes part ownership in the team. He continues to insist that he has not asked for a release from the final year of his contract with Joe Gibbs Racing. Haas CNC General Manager Joe Custer said any deal with Stewart is contingent on him securing a release from his JGR contract. “Nothing can happen until they let him out of his contract,” Custer said. “They hold all the cards. When he becomes available we want to talk to him." 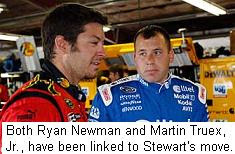 Martin Truex, Jr., said yesterday that he is unsure whether he will sign a contract extension with Dale Earnhardt, Inc. He said talks are ongoing on a daily basis, but there is no timetable for him to make a decision. Kentucky Suit Delayed: The August 11 deadline for all sides in the Kentucky Speedway lawsut to submit their final briefs to the court has been extended to October 27th, meaning that the U.S. Court of Appeals will probably not rule until next year on whether the track has enough evidence to continue the suit. The delay means that a hearing cannot be held until at least a month after the October 27 filing deadline; and likely more. Kentucky Speedway alleges that NASCAR and International Speedway Corporation illegally conspired to prevent them from obtaining a spot on the NASCAR Sprint Cup Series schedule. NASCAR and ISC have denied the claims, and a district judge ruled in January that there was insufficient evidence to proceed to trial. The track’s former ownership group – led by Jerry Carroll – has appealed that decision, and ignored a request by new owner Bruton Smith to either drop or settle the lawsuit. If It Rains At NHMS: Only 45 cars are on the entry list for Sunday’s Lenox Industrial Tools 301 at New Hampshire Motor Speedway. The forecast for Friday calls for cloudy skies with a 20% chance of rain, and if qualifying is rained out, only two drivers -- Johnny Sauter and Tony Raines -- would fail to make the field. Drivers on the “Go Or Go Home" list who would make the race in the event of rain are Patrick Carpentier, Marcos Ambrose, Dario Franchitti, Terry Labonte, (Past Champion Provisional), Scott Riggs, Joe Nemechek, A.J. Allmendinger and J.J. Yeley. Sauter would miss the race as a result of being 44th in owners points –- last among all teams with 16 qualifying attempts this season -- while Andretti would miss out because his team has made only 14 attempts. Saturday’s forecast calls for a 30% chance of showers with a high temperature of 76 degrees, while Sunday will be cool – temperatures in the low to mid-60s – with a 60% chance of showers. Texas Attorney General Greg Abbott has charged former NASCAR Craftsman Truck Series owner Gene Christiansen and others with misuse of charitable funds, alleging that they diverted money from People Against Drugs Affordable Public Housing, Inc., to pay Christiansen’s salary, support the Green Light Racing Craftsman Truck Series team and advance his political career. The Attorney General has asked the court to prevent further misuse of charitable assets by appointing a temporary receiver, and issuing a temporary injunction against the defendants. A hearing is scheduled for 9 a.m. Monday, July 21, in Travis County Probate Court. The charges say that Christensen founded People Against Drugs as a non-profit housing operation that offered “gang and drug-free living environments.” He and three partners allegedly secured government-backed loans to purchase an apartment complex, which they said would offer qualified individuals reduced-cost rent in a drug-free living environment. However, an investigation by the Attorney General’s Office allegedly revealed that the defendants operated the apartment complex as a for-profit enterprise, generating approximately $2 million in annual rental revenue. Rather than using that revenue to provide reduced-cost housing to the poor, Christiansen and his partners allegedly spent the money on the Green Light Racing Truck Series team, a violation of the Texas Nonprofit Corporation Act. Court documents also allege that Christensen used People Against Drugs’ financial resources for his own personal financial gain without authorization from the board, paying himself a salary of at least $102,000 beginning in 2001. In 2005, People Against Drugs paid Christensen $181,000, plus benefits and a company vehicle. Christensen also reportedly received a $119,000, interest-free loan from People Against Drugs. The state also alleges that Christensen used charitable resources to fund an extravagant lifestyle, using People Against Drugs’ credit cards to charge expensive meals, personal items, and hotel stays in exotic locales. He is also alleged to have spent $40,000 in charitable funds to help finance a film that he produced. During Christensen’s 2008 primary campaign for the U.S. House of Representatives, he allegedly “loaned” himself $278,000. Of that sum, $94,500 has been traced back to accounts owned by the charity, and investigators say they have reason to believe that the entire amount came from the charity. That loan has yet to be repaid. People Against Drugs’ 2005 tax forms indicate the defendants spent millions of charitable dollars on vehicle parts, drivers, mechanics and other Green Light Racing-related expenditures. Christensen justified those expenses by claiming that the trucks advertised his anti-drug message, despite the fact that the charity’s decal was roughly three to four inches in diameter. In addition to being a team owner, Christiansen made six career NCTS starts as a driver in 2001, with a best finish of 30th at Memphis Motorsports Park. This has not been a good month for Dale Earnhardt Inc., and it appears to be getting worse by the minute. Sirius NASCAR Radio's Sirius Speedway first reported last week that the U.S. Army is examining it options for 2009 and beyond, and could leave DEI for another team. Lead driver Martin Truex, Jr., still has not agreed to the provisions of a 2009 contract extension, and now, published reports have Mark Martin leaving DEI to drive for Hendrick Motorsports next season. Martin has split time with Aric Almirola in each of the last two seasons at DEI, but has reportedly been enticed to return to full-time competition in 2009, replacing Casey Mears in the #5 Chevrolet. DEI Vice President of Motorsports Operations John Story declined to comment on the reports yesterday, but did confirm that Almirola will run a full, 36-race championship schedule next season. "Aric is ready for a full-time ride," he said. “We're talking to Mark about what his objectives for the future are, and trying to marry that with our own, to make sure Aric has an opportunity to run full time next year… and that Mark is in a good situation." Mears has one year left on his contract with Hendrick Motorsports, but has only one Top-5 and three Top-10 finishes in 16 starts, en route to 24th place in points. Rick Hendrick said of Mears yesterday, "I'm committed to him right now. I'm committed to him making that car run better right now." DEI’s Story also confirmed yesterday that the team is still looking for a sponsor for the #01 Chevrolet driven by Regan Smith, and that if no financial backing is found, plans are in place to cut back to three cars. Story did not specify whether the move would come before the end of this season. In a related story, ESPN’s Angelique Chengelis reported yesterday that the Army sponsorship is likely to move from DEI to Bill Davis Racing's #23 Toyota next season. That report has been denied by several sources, however, and Sirius Speedway has learned that Red Bull Racing is actually a leading candidate for the Army deal. Red Bull General Manager Jay Frye first brought the Army sponsorship to NASCAR during his tenure at MB2 Motorsports, and is said to be in serious discussions to secure that sponsorship once again in 2009. There is no word on whether the Army would replace Red Bull as sponsor of either Brian Vickers or AJ Allmendinger next season, or if a third car will be added to the team for former Formula One and current NASCAR Craftsman Truck Series star Scott Speed. No Drags At NHMS: Published reports late last week that Bruton Smith is considering building an NHRA-sanctioned dragstrip at New Hampshire Motor Speedway appear to be false. The Speedway Motorsports Inc. Chairman was reported to be talking with NHRA executives about building a strip in Loudon, N.H., similar to the one currently being constructed a Lowe’s Motor Speedway in Charlotte. NHMS Executive Vice President and General Manager Jerry Gappens flatly denied that report, however, saying that there have been no discussions about a drag strip at NHMS, and that an agreement with the Town of Loudon expressly prohibits drag racing. If past history is any guide, expect Smith to threaten to move NHMS to a neighboring county within the next few days, if the Loudon town fathers refuse to approve his dragstrip plans. Two-time NHRA PowerAde Top Fuel champion Scott Kalitta died Saturday from multiple injuries suffered in a high-speed Funny Car crash during qualifying for the Lucas Oil NHRA SuperNationals at Old Bridge Township Raceway Park in Englishtown, NJ. Kalitta suffered an engine explosion late in his fourth and final qualifying pass, and the flames from the resulting fire consumed virtually all of his parachutes. The car impacted at high speed at the end of the quarter-mile strip, necessitating a lengthy extraction by NHRA emergency personnel. He was transported to nearby Old Bridge Township Hospital, where he was pronounced dead. 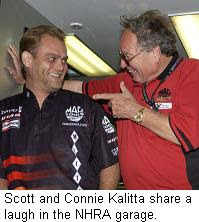 Kalitta, the son of legendary driver and team owner Connie “The Bounty Hunter” Kalitta, was one of only 14 NHRA drivers to win races in both Top Fuel and Funny Car. In addition to his back-to-back World Top Fuel championships in 1994 and 1995, he won 18 career races, including his final victory in Chicago in 2005. He lost in the finals two weeks ago at that same track, in his 36th NHRA final-round appearance. Kalitta’s career had been on-and-off since 1997, including two long retirements prompted at least in part by concern over the safety of Top Fuel racing. He sat out most of two seasons beginning in 1997, then came out of retirement for a partial season in 1999. A second, three-year retirement ended when he returned to the family race team as a teammate to his cousin, Doug Kalitta. Scott was a guest on Sirius Speedway a number of times in recent seasons, and was unfailingly insightful, upbeat and humble about the sport and his place in it. He was gregarious and outgoing at times, but had a "game face" as intense and unflinching as any in sports. Some saw him as gruff or aloof on race day; mistaking his intensity for arrogance. His zest for life off the racetrack (and his impregnable focus on it) had a lot to do with paternal genetics. Like his father, Scott could be a man of few words. But when he spoke, you knew you were getting the staight scoop, straight from the heart and unvarnished. Scott was an eloquent spokesman for the sport of drag racing, and an outstanding representative for one of that sport's most beloved families. Kalitta is survived by his father; his wife, Kathy; and sons Corey, 14, and Colin, eight. 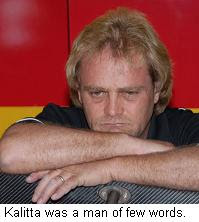 Scott Kalitta was 46 years of age. NASCAR Camping World East Series point leader Austin Dillon has left the Andy Santerre Motorsports team, and will race in next weekend’s event at New Hampshire Motor Speedway in a Chevrolet fielded by his family’s Team Dillon Racing. The grandson of NASCAR team owner Richard Childress ran the first four races of the year with Andy Santerre Motorsports, winning the season-opener at Greenville-Pickens Speedway when teammate and apparent winner Peyton Sellers was stripped of his victory for illegal shock absorbers. 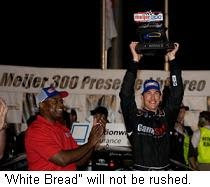 He finished sixth in the US Cellular 200 at Iowa Speedway, second in the Strutmasters.com 150 at South Boston, and 12th last weekend after a last-lap crash on the road course at Watkins Glen. He currently leads Brian Ickler by 55 points in the championship standings. The 18-year old Dillon confirmed the split to the Boston Herald this week, saying, "This is more convenient for us. Now we're getting exactly what we want for our race program. We weren't as prepared at the racetrack as we wanted to be." Santerre – a multi-time series champion as both a driver and car owner -- was testing today at Motor Mile Speedway in Radford, Va., and unavailable for comment. The ASM website has been purged of any mention of Dillon. With AT&T set to leave the sport at the end of the season, Richard Childress Racing has wasted little time finding a replacement. RCR announced today that Caterpillar will serve as primary sponsor for the #31 Chevrolet and driver Jeff Burton, after signing a multi-year contract earlier this week. Caterpillar has been a major sponsor in NASCAR for 17 years; most recently with Bill Davis Racing and the #22 Toyota driven by Dave Blaney. Burton has made the "Chase for the Championship" in each of the past two seasons, finishing seventh in 2006 and eighth last year. He is currently second in points with one win, four top-five and 10 top-10 finishes. Newman Says Performance Must Improve: Ryan Newman said yesterday that he will revisit his latest contract offer from Penske Racng later in the season, but will not return to the team unless the performance of his #12 Dodge improves significantly. Newman began the season in encouraging fashion, winning the season-opening Daytona 500. But the team has struggled since then, managing only four more Top-10 finishes, and finishing outside the Top-30 four times, as well. “It’s a performance issue,” said Newman, who is reportedly in the running for the new, fourth entry at Richard Childress Racing next season. 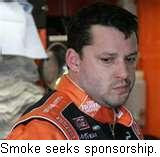 He could also be a candidate to replace Tony Stewart at Joe Gibbs Racing, if Stewart opts out of the final year of his contract. Speaking of Stewart, his longtime crewchief, Greg Zipadelli, contnues to keep the uncertainty surrounding his driver at arm’s length. Zipadelli has said he believes Stewart already knows where he will race next season, but that he has not shared that decision with anyone. The two-time champion crewchief said he is trying, "not to get wrapped up in…questioning about the unknown. When that comes, I'll worry about it. Right now, I need to worry about me, my guys, my family, this race team and being in the Top-12 in points." Zipadelli’s contract with JGR would allow him to accompany Stewart to another team, but sources say he may elect to remain with Gibbs, opting for the security of a long-term contract with an established, championship-caliber team. Harvick On COT: Kevin Harvick had some pointed comments last weekend for drivers who continue to complain about the comparatively ill-handling Car Of Tomorrow. "Sure the car doesn't drive like it (did) a couple of years ago,” he said. “But this car was not intended to drive like the ones a couple of years ago. We were supposed to put more of the driver capability back in (their) hands. If you go back a year and a half or two years ago, a lot of the guys just wanted to keep putting downforce in the car…so they could hold the thing wide open. That's never been what NASCAR racing is all about. If they want something they can hold wide open, they need to go race IndyCars and ride around in a pack like that." Speedway Motorsports Inc. Chairman Bruton Smith admitted Monday that if he wants a NASCAR Sprint Cup Series race at Kentucky Speedway, he will likely have to move it from one of his other tracks. Smith also revealed that he has already decided what track that race will come from, but would not name it. SMI currently hosts 12 Sprint Cup events; two each at Texas, Charlotte, New Hampshire, Bristol and Atlanta Motor Speedways, and one each at Las Vegas Motor Speedway and Infineon Raceway. Widespread speculation is that the race will come from either Atlanta or New Hampshire, but prior to this week, Smith has insisted that he has no plans to take a race away from any of his tracks. He said he believes an important factor in the negotiations will be the status of the lawsuit filed by Kentucky Speedway's current ownership against NASCAR and International Speedway Corporation. Smith said that while he has an option to back-out of the purchase of Kentucky Speedway if he cannot acquire a Cup race, he has no plans to do so. In fact, he said he is already planning to redesign the track’s garage area. 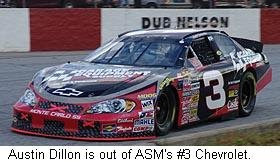 The U.S. Army is examining it options for 2009 and beyond, and could leave Dale Earnhardt, Inc., for another team. The Army sponsorship is a year-by-year affair, and is renegotiated at the end of each season for the next year. Sources close to the situation tell Sirius Speedway that while the Army could still return to the DEI camp next season, officials are talking to at least one other Sprint Cup Series team, including one from the Toyota camp. Mark Martin has steered the US Army Chevrolet to a pair of Top-5 and five Top-10 finishes this season, and stands 24th in points despite running only 12 of the 15 races to date. Aric Almirola has made the other three starts in the car, with one Top-10 finish. Kyle Kutting Back: Kyle Busch’s tripleheader weekends are apparently over. Busch said yesterday that he will not take part in this weekend’s Nationwide Series race at the Milwaukee Mile, concentrating on the Sprint Cup Series event at Infineon Raceway in Sonoma, California. He blamed the long miles involved in getting back and forth between venues, and also the fact that he is out of contention for the Nationwide championship. Busch did not rule out more Nationwide Series racing this season, but said he will also skip the October Nationwide event at Memphis Motorsports Park; the same weekend of the Sprint Cup race at Atlanta Motor Speedway. No Full-Time Cup For Logano In `09: Joe Gibbs Racing is planning to enter Joey Logano in a handful of NASCAR Sprint Cup Series races before the end of the season, but has no plans at present to move him to the senior series in 2009. Team owner Joe Gibbs confirmed those plans yesterday, saying, "We would like to get him in some Cup stuff towards the end of the year. We want to make sure it's the good stuff, and the right way." 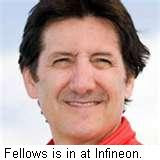 Fellows To #01 At Infineon: Road course ace Ron Fellows will replace Rookie Regan Smith in Dale Earnhardt Inc.’s #01 Chevrolet in the Save Mart 350 at Infineon Raceway on June 22th. Smith is currently the top-ranking Raybestos Rookie of the Year contender, but currently stands 30th in owner points, just 30 away from falling out of the Top-35. DEI said the move is being made with an eye toward earning maximum owner points in the event, with Smith set to return to the ride the following weekend at New Hampshire Motor Speedway. Fellows has made 17 career Cup starts, with best finishes of second at Watkins Glen in 2004 and seventh in 2003 at Infineon. Both of those finishes came in DEI cars. Verizon Wireless has announced plans to purchase Alltel Corp for $28.1 billion, including an estimated $22.2 billion in debt. Verizon spokesmen say the deal would create savings of $1 billion in the second year, with closing projected for the end of this year, pending regulatory approval. Industry insiders say Verizon will likely discontinue the Alltel brand, and NASCAR spokesman Ramsey Poston confirmed yesterday that the sanctioning body’s contract with title sponsor Sprint will not allow Verizon to re-brand Penske Racing’s Alltel Dodge, driven by Ryan Newman. The contract allows Alltel to remain in the sport, as long as it does not change teams or brand names. AT&T challenged that same grandfather clause in federal court last year, in an attempt to rebrand its sponsorship of the #31 Richard Childress Racing Chevrolet from Cingular to AT&T. A settlement was reached last September, allowing AT&T to use its trademark through the end of this season, before withdrawing from the sport. All This For Only $3.79 A Gallon! Motorists who pulled into the Sunoco gas station at 1227 S. Main Avenue in Scranton, Pa., yesterday morning received a surprise greeting from the Allstate Safety Patrol and members of Elliott Sadler’s No. 19 Gillett-Evernham Motorsports pitcrew. The Allstate Safety Patrol was on the lookout for safe drivers who were wearing their seatbelts, and rewarded them with a $20 gas card. Motorists filling up with fuel received a VIP ‘pit stop’ from Sadler crew, including a complimentary windshield cleaning and tire glossing. The initiative helped promote Allstate’s Safe Driving Bonus Check, which allows customers an opportunity to earn a check of up to five percent of their premium for every six months of accident-free driving. Brian Vickers says he is still puzzled by the two pit road speeding penalties he received Sunday at Dover International Speedway. Vickers pitted in the third pit stall, and said he didn’t have enough time or space to exceed the speed limit before exiting the measured part of pit road. And yet, he was busted for excessive speed during green-flag stops on Lap 235, and again during a caution period just 11 laps later. "I can't explain it," said Vickers this week. "(NASCAR) called us for speeding twice on pit road, but you know as well as I do, when you're in the last couple of boxes on pit road you can go as hard as you can, and can't speed. The second time they called us was under caution, (when) I wasn't even racing anybody. I was still in first gear, puttering along. I don't know if there's something wrong with their timing and scoring, but unfortunately it cost us a good finish." Jeff Gordon had similar issues at Dover a year ago, and Red Bull Racing GM Jay Frye said Gordon's crewchief, Steve Letarte, offered a possible explanation for the problem. Ratings Remain Strong: Sunday’s Dover race on FOX earned a 4.2 rating and a 10 share, to rank as the top-rated event of the weekend. Last year's race was rained-out and rescheduled for Monday afternoon, posting a 2.2 rating and a 7 share. Discounting the Dover race – since last year’s edition ran on Monday – NASCAR Sprint Cup racing has averaged a 5.2 rating and an 11 share through the first 13 races, even with last year’s average through 12 events. JV Still Looking: Montreal’s La Presse says we may not have seen the last of Jacques Villeneuve, after all. The French-language newspaper is reporting that the former F1 champion has joined with former CART team owner Barry Green and Canadian Grand Prix promoter Normand Legault to seek a sponsorship to bring him back to NASCAR. Villeneuve failed to qualify for the season-opening Daytona 500 in a Bill Davis Racing Toyota, before being released by the team due to a lack of sponsorship. The new partnership remains in need of financial backing, and is reportedly looking to align itself with another Cup team, possibly Ganassi Racing. NASCAR Silly Season ramped up another notch this weekend in Delaware, with published reports of possible moves involving as many as four drivers, and multiple teams. The Charlotte Observer’s Jim Utter is reporting that Jamie McMurray will not return to Roush Fenway Racing next season. 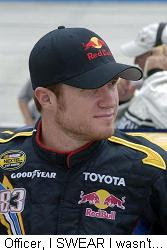 McMurray’s representatives have reportedly begun contacting other teams to talk about his availability in 2009 and beyond, after he finished 10th in the Best Buy 400 at Dover yesterday; his second Top-10 finish of the season. Roush-Fenway is said to be working to put sponsor Crown Royal together with Greg Biffle next season, while Biffle continues to negotiate his own contract extension. McMurray is now 22nd in championship points -- 259 out of the Chase – and if he does depart, it would drop Roush-Fenway from five teams to four; one year ahead of NASCAR’s mandated four-cars-per-team limit. Biffle, meanwhile, said he has submitted a detailed contract offer to Roush Fenway, and is awaiting their reply. Martin Truex Jr. says he wants to sign a long-term deal with Dale Earnhardt Inc, but admitted that negotiations surrounding the new contract are now becoming a distraction. DEI President of Global Operations Max Siegel has said that signing Truex to a long-term contract is a top priority for the team. Published reports also have Reed Sorenson on thin ice at Ganassi Racing. Sorenson finished 24th in the points during his rookie season two years ago, and 22nd last season. He has tumbled to 30th in points this year, with just one top-five finish. He is in the final year of his three-year contract with Ganassi, and admits that he hears the rumors of IndyCar star Dan Wheldon’s interest in jumping to NASCAR as soon as next season. Sorenson told Yahoo Sports this weekend, "I'm making sure I concentrate on (this year) before I get too carried away with next year. If I can run good here for a little while, then it will take care of itself." There is speculation that Juan Pablo Montoya could also leave Ganassi for Joe Gibbs Racing, if Tony Stewart exits the Gibbs stable at the end of the season. Montoya has expressed unhappiness with a pair of recent crewchief changes at Ganassi, and rumors have begun to circulate that he is high on Gibbs’ list of possible replacement drivers. And finally, Dodge’s Director of Brand and SRT Marketing Communications Mike Accavitti commented yesterday on recent speculation about a possible partnership between Ganassi and Penske Racing, or even a buyout of Ganassi’s NASCAR operation by Penske. Accavitti called the reports, "absolutely preposterous," and called a partnership between the two, "like putting the Hatfields and McCoys together."